First, the Market Board only exists in city and Guild, Player can find a Market Board which shows below, clicking it and then auction starts. 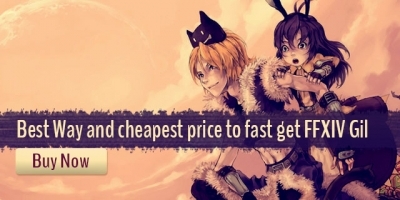 But players need to know, we just can buy items here,no selling. Here is the picture of the Market Board. with its left,you can search the types of the items, then all items which suit your requirement will be shown up on the right. What needs to explain is all items will be shown there whether them were bought or not. Sure, the digital that on right indicates the numbers of order on sale at this moment. A Love Sign suggests this item are attended, It means the item was added into someone’s Wish List. You can open your Wish List at the lower of left corner. You can easily click the ‘ add’ on the name of the item with your right bottom to add the item into your Wish List. To find the item that you want to buy, the window below here will be shown after you click the left bottom on the name of this item, all unit price and total price about orders would be shown clearly here. You need to know about number of orders, Player can only order one by one,which means you can only buy all items in one time no matter how many items in your order. Then, Due to all ffxiv auctions are done by your servant, so there are just showing retainer‘s name instead of player’s character name. As player get a higher level about 17 Lv , you can unlock ‘The employ of servant’ from Main Task. 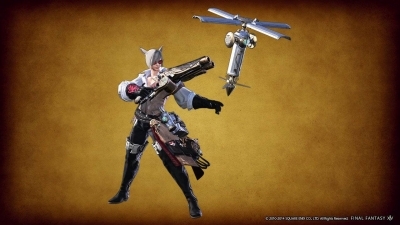 All player can employ 2 retainers(ffxiv) which do something for you in warehouse, auction, and Bank. In market of 3 main city, there is a NPC icon , this is a place you can take charge of your servant and employ them or not. ①.Clicking ‘Hire a Retainer’(ffxiv) to enter a state of build a retainer(ffxiv),this progress is same with player character’s creation. ②.Sending the retainer(ffxiv) to city,I have illustrated already,your gains will be affected by the tax of where you are when you sell your items, so please keep try your retainer (ffxiv) sell your items at different place, addicting more buyer by reduce the tax. 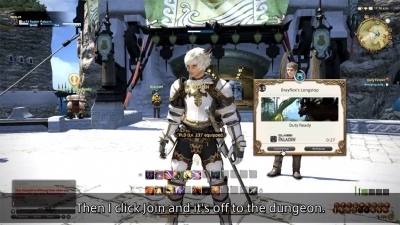 ③.Player should remove all items which sale or deposit at the retainer(ffxiv) who you want to be released. ④.Check the tax rate of main city, all tax rate is 5% now. ①.To summon a retainer(ffxiv), player can summon a retainer(ffxiv) in main city or main country by a bell , here is the picture of bell. ②.A dialog box that provide selection of your favor retainer is shown out after you click the bell, also, the name of retainer,items on sale and time limit would be shown here. Here is the menu after you chose a retainer(ffxiv). 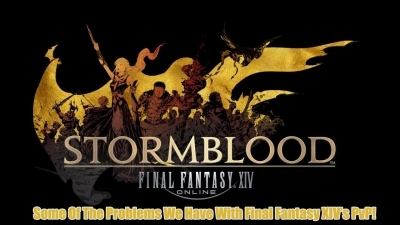 All retainer(ffxiv) provide 175 black place for restore items with no limit,gold can also be restored here but no any interest income. We can know the items which on sale and the price of them by search the transaction history out. First, the inventory and storage would be came out by clicking the items which on character or restored items. The items, amounts , unit price will be shown on left . Where are the retainer(ffxiv) will be shown on lower left corner. And the upper limit would be shown on lower right corner. 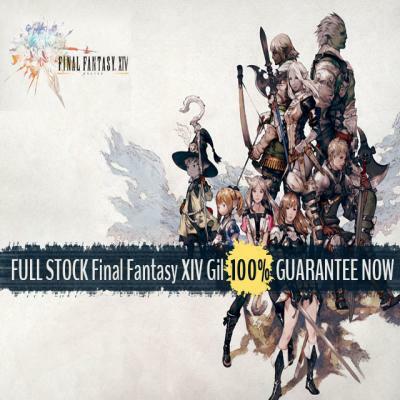 Each ffxiv retainer can sale 20 orders at maximum. A selection will come out after a click the item, the first ‘Put Up for Sale’ means sell out, the second ‘Entrust To Retainer’ means put it in storage. It can be contrary once sell items from storage. We can see picture below here due to we select ‘Put Up for Sale’ , then we fill into the unit price and numbers of items, the total price of this order are shown, the yellow words represent tax rate and quantity rate. Clicking the ‘Confirm’, the auction is start now. 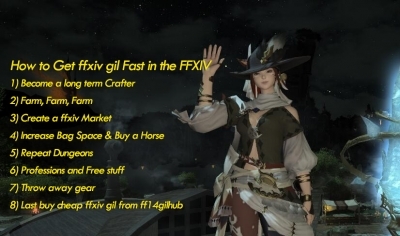 Stay with www.ff14gilhub.com for more auction house guide, gameplay tips, FFXIV Gil and FFXIV Power leveling. 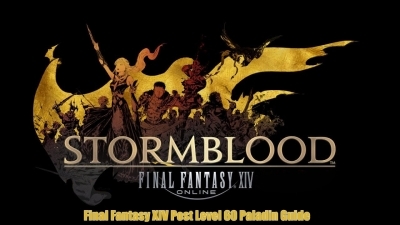 For more news, tips and tricks, please stay with FF14GilHub.com where you can find Final Fantasy XIV gold, items and power leveling service. 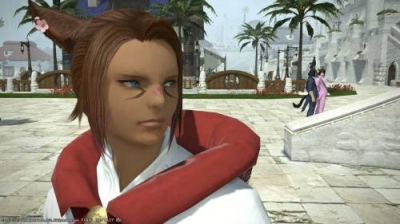 However with the addition of Final Fantasy XIV heavensward I am by far interested in dark knight and machinist. Dark knight doesn't scare me, I am an exceptional Final Fantasy XIV tank that can hold aggro 98.9% of the time and does marks and yadda yadda. Surprisingly enough she proved to be a decent fighter, and made enough ffxiv gil to leave the arena behind and settle down with a normal life.